The Centre is intent on monitoring conversations on social networking sites like Twitter and Facebook. It has written to the department of telecom, asking it to "ensure effective monitoring of Twitter and Facebook", a fact the minister of state for communications and information technology, Milind Deora, acknowledged a few days ago in a written reply to a question in the Rajya Sabha. He spoke, in particular, about access to "encrypted data" on social networking sites, but did not elaborate on the subject. Currently, the Indian Telegraph Act, the Indian Information Technology (IT) Act 2008 (amendments were introduced in the IT Act 2000) and the rules notified under this Act on April 11, give the government the power to monitor, intercept and even block online conversations and websites. The Centre for Internet and Society (CIS) has put up a list of 11 such websites which are blocked by a government order. 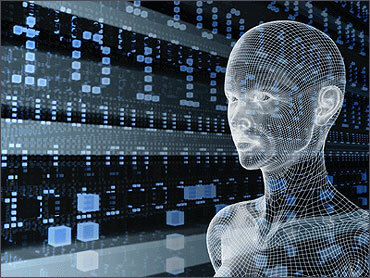 The data were received from the department of information technology (DIT). "For the first time in India, we have a list of websites that are blocked by order of the Indian government," says Sunil Abraham, executive director, CIS. 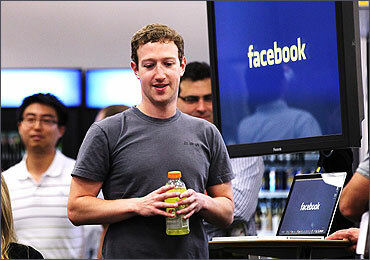 Image: Facebook CEO Mark Zuckerberg prepares to speak at a news conference. Now, given their popularity, online influence and potential "for misuse by cybercriminals and terrorists", social networking sites, too, would be monitored by the government. 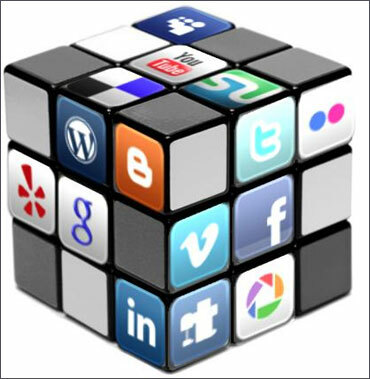 Social networking sites like Facebook, Twitter, Orkut and now Google+ are very popular in India. Facebook has around 31 million users and Orkut around 18 million users, while Google+ is estimated to have around 20 million users. India ranks in the list of the top 10 countries in terms of Twitter users, contributing around 6.5 per cent of the site's total traffic, according to online ranking site Alexa. Campaigns like those of Anna Hazare have successfully used social networking sites to rally people against corruption in India. They have also helped citizens during natural calamities like floods and earthquakes. "The Indian government can, and should, monitor conversations and websites if it believes the content can harm the security, defence, sovereignty and integrity of the country," asserts Pavan Duggal, a Supreme Court lawyer and a cyberlaw expert. Abraham of CIS, too, agrees. 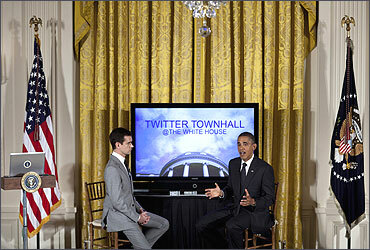 Image: Twitter co-founder and executive chairman Jack Dorsey listens while President Barack Obama speaks. However, both wonder how the government would go about implementing the task of monitoring each and every conversation on an unstructured Internet. "The intention is good but the path is not clear," says Duggal. Companies like Facebook, Twitter and Google have their servers outside India. Hence, the jurisdictions are different, and Indian laws will not apply. Twitter, for instance, states in its guidelines for law enforcement, "Non-public information about Twitter users is not released, unless we have received a subpoena, court order, or other valid legal process documents." Facebook has a similar policy. US federal law prohibits the disclosure of the contents of an account such as messages, wall posts and photos except in response to a civil subpoena or court order, the company said on its website. Google's policy is no different, though it has cooperated with the Indian government in cases in which India's security is involved. 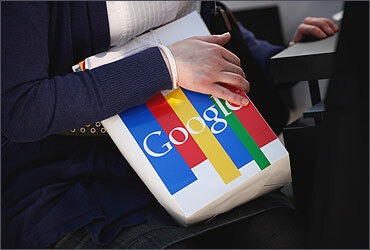 Image: A visitor clutches a paper bag from online giant Google at the CeBIT technology trade fair. Duggal says sections 1 and 75 of the Indian IT Act state regardless of the nationality, any company operating in India can be held accountable if the contravention of law has an impact on computer (systems and networks) in India. "But the problem is what would the government monitor on social networking sites---usage of keywords, all users, just the suspects or leave it totally to the service provider?" he asks. There is another issue. Under Section 70 (B), service providers like ISPs and telecom companies have to report cyber security breaches on all computers in India to the government, failing which they could be punished with imprisonment. Moreover, under a separate section, it's mandatory for all cybercafes in India to retain identity proofs of users for one year. However, the government is simultaneously planning to introduce the Right to Privacy Bill to protect its citizens. The draft of this Bill, reportedly, would allow for penalisation of "unauthorised interception", regardless of whether one is in the government. "Hence, there could be many legal challenges if the government does not go about its task of monitoring users in a transparent manner," cautions Duggal. "It's okay if the government takes this (monitoring of sites) on a case-to-case basis - that is, addressing perceived threats to the country's security or monitoring conversations that have a pattern leading to a possible attack," says Abraham. But what if it leads to "blanket surveillance" he asks. "Would the government monitor all social media conversations by studying patterns with artificial intelligence servers?" asks Abraham. This would prove very expensive. Besides, cybercriminals and terrorists speak in codes. The government would have to induct professionals to decrypt these codes. "Moreover, if users of social networking sites feel they are being watched, they would resort to using psuedonyms, encryption or even anonymiser tools to camouflage their identities. There will be a sense of distrust (of the government)," says Abraham. India has a history of exerting pressure on companies for access to communications data. However, it is not alone. YouTube and Gmail (both from Google), Blackberry maker Research in Motion (RIM), Wikileaks, Twitter and Facebook have all been censored, at different times, in China, Iran, Egypt and other countries. Internet censorship is a rising trend, with approximately 40 countries filtering the web in varying degrees, including democratic and non-democratic governments. Governments are using more sophisticated censorship and surveillance techniques, including blocking social networks, to restrict a variety of types of content, reports the Global Network Initiative (GNI) Report 2010. The heartening trend, say activists, is representatives of some major technology companies like Google, Microsoft and Yahoo! currently serve on the GNI board. They hope companies like Twitter and Facebook join the bandwagon, while governments learn to strike a balance between protecting a country's security interests and an individual's privacy. 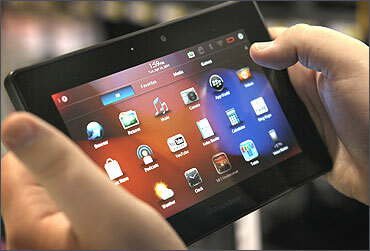 Image: An employee demonstrates a Blackberry Playbook tablet at a Best Buy store.